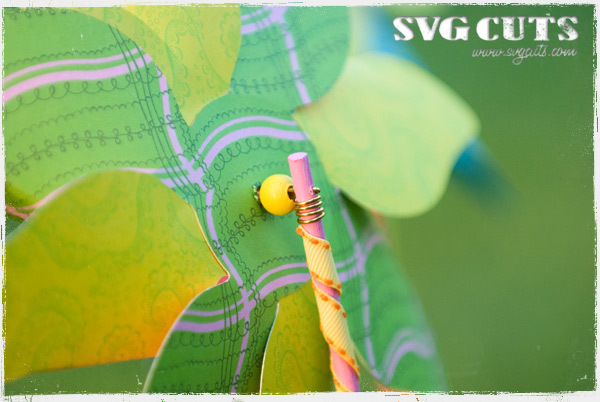 Click here to download the FREE pinwheel SVG kit! 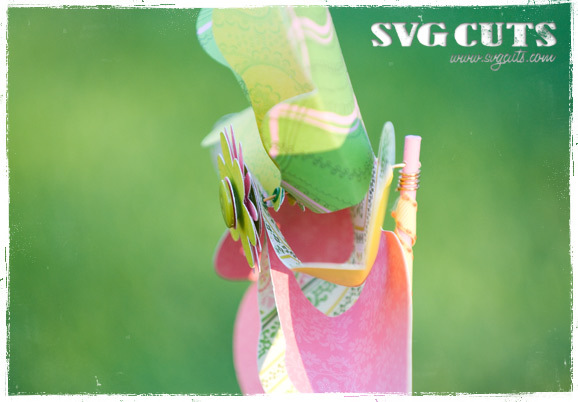 Cut coordinating double-sided cardstock to 8" wide by 9" high and cut both SVGs at 7" wide (Keep Proportions). Then glue the two pinwheel shapes together in the center. Overlap each pinwheel "petal" so that one is atop the next all the way around the pinwheel. If you have an eyelet setter and eyelets, affix an eyelet through the center of the pinwheel. Also put an eyelet through four consecutive petals and then through the other four petals. You can skip the eyelets, but they make the pinwhel spin a little smoother and last longer. Cut five-inches of approx 18 gauge wire, bending a half inch of it at 90 degrees. Glue this half inch part between the two small circles, with the wire coming out of the hole in the one circle. Glue layered smaller flowers and circle with a button or bling to this. 3D Zots or pop dots work nicely here too but are optional. Thread a wooden bead on next, then your pinwheel, then another wooden bead, then your wooden dowel, leaving an extra quarter inch of wire between the bead and the dowel, so that the pinwheel can spin freely. Wrap the extra wire tightly around the dowel. Paper used: Isabelle Collection by Anna Griffin. I did finally get a pinwheel together, but I was putting all the petals in one eyelet, which was very hard. Doing just half of them will work SO much better! Thanks Mary for the video. I just love your happy pinwheels, Mary. 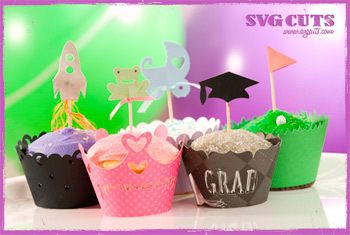 Thanks so much for the tutorial – it’s very generous of you to share this with us all! You are also absolutely adorable! Hello to Leo too! Great video. I’m taking my Cricut to Florida for Memorial weekend, we will be making a lot of these for the kids. Thanks! Thanks so much for the tutorial. It was very helpful. Pinwheel looks like fun. I can’t wait to try it. Thank you. This is awesome. My husband even is excited to help me with this. Im going to make a pinwheel bouquet.. Oh this is exciting. Thanks so much for taking the time to do this tutorial. You guys rock !!! i dont see a pattern for the paper/pinwheel??? I ended up not being able to make the 8 petal pinwheel because I have a cricut and the cartridge has a different pattern for the pinwheel on Mother’s day 2010. But their design is only intended for a 4 petal pinwheel, you can’t make the 8. Bummer! I was looking to make patriotic pinwheels for my Grandaughter’s wedding and couldn’t seem to find a site to help me put them together. You have a great system and I appreciate it so much. 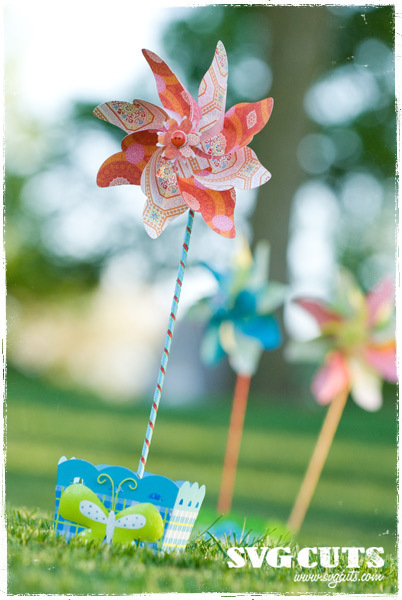 Your pinwheels are fabulous. Thank you.